Our chapter meets every First Friday of the month at either St. Thomas Aquinas Church or Our Lady of the Rosary Church in Palo Alto, CA. Our program is typically a mass at 7 pm followed by dinner and a talk. 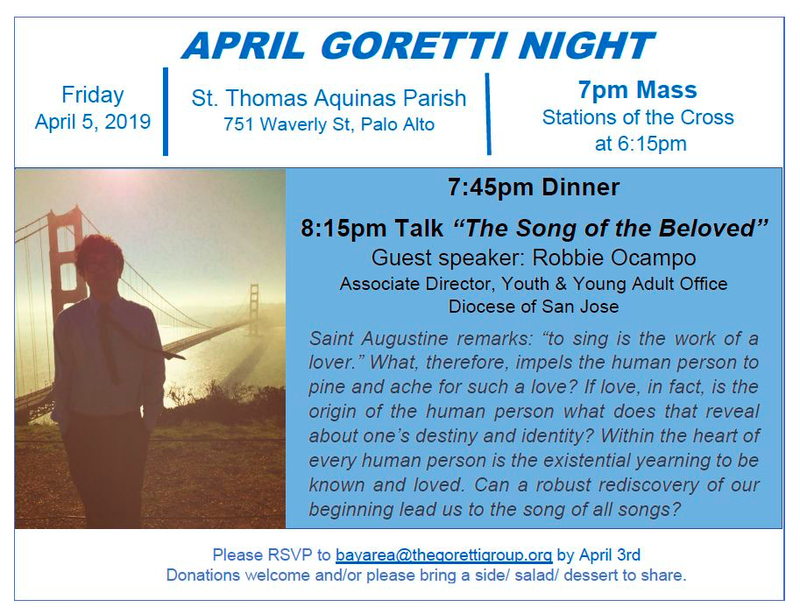 To be added to our mailing list, please e-mail bayarea@thegorettigroup.org. ​Please LIKE our Facebook Page!